The Waterford Castle ace dropped just one shot and added an eagle and four birdies in a five under par effort on the Tour Course at PGA Catalunya Resort to share 24th on six under par. The Top 25 and ties after six rounds will earn full playing rights for 2015 and former tour winners Simon Thornton and Peter Lawrie are also well placed. Former Royal County Down assistant Thornton shot a 67 at the Tour Course to share 13th spot on eight under, six strokes behind leader Pelle Edberg of Sweden. Lawrie, who should still get plenty of European Tour invitations next season if he fails to win his card, is tied for 18th on seven under after a three under 67 on the Tour Course. With the Top 70 and ties after today's fourth round makign the cut and guaranteeing them Challenge Tour status for next season, Michael McGeady and Gareth Maybin have work to do. McGeady shot a fine, ywo under 70 on the Stadium Course but lies two shot shots outside the cut mark on two over ahead of his fourth round on the slightly less demanding Tour Course. Maybin is 92nd on three over after a level par 72 on the Stadium and could need a 66 on the Tour Course today to keep his card hopes alive. 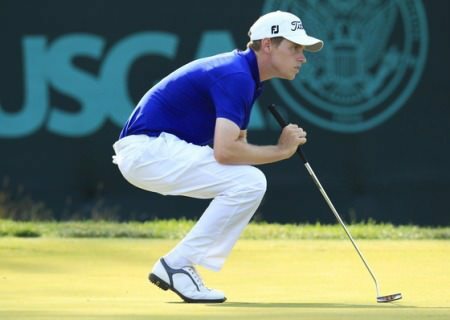 At the top of the leaderboad, Edberg shot a seven under par 63 on the Tour Course to establish a one shot lead over India’s Anirban Lahiri. Seven birdies, five of which came on his back nine, were the foundation for Edberg’s star turn in north-eastern Spain, which left him in a strong position atop the leaderboard through 54 holes, with a further three rounds still to play in the 108-hole endurance test. Ricardo Gonzalez is the most successful player in the field with four European Tour titles, and the Argentinian is handily placed just three shots adrift of Edberg on 11 under par after a 65 on Monday. Just a shot further behind in a share of fourth are Sweden’s Rikard Karlberg and Mikko Korhonen of Finland, who added to the Scandinavian success story on the third day, alongside Englishman Richard McEvoy on ten under. Bjorn Åkesson of Sweden and England’s Tom Murray also signed for rounds of 63 on the third day, to match the leading Edberg, and haul themselves up into a tie for ninth alongside Norway’s Espen Kofstad (64), the English pair of Matthew Fitzpatrick (67) and Matt Ford (65), as well as Italian teenager Renato Paratore (66). That gaggle of top golfers is a shot clear of first round leader Christian Gloet (66), as the Dane bounced back from a disappointing second day in Spain. He is joined in a share of 13th place by England’s Chris Lloyd (66), Sebastian Soderberg (67) of Sweden, Ireland’s Simon Thornton (67) and Spaniard Pedro Oriol (68) on eight under par. With one round to go until the field is cut to the top 70 and ties for the final two tours of the Stadium Course, the current qualifying mark is set to fall at level par, and would currently see the likes of Nick Dougherty, Johan Edfors, Jose Manuel Lara and Ricardo Santos – to name just a few high profile names - miss out. Simon Thornton and Peter Lawrie moved inside the all important Top 25 after two rounds of the European Tour Qualifying School Final Stage at PGA Catalunya Resort. Peter Lawrie is just one tantalising shot outside the Top 25 who will win their 2015 European Tour cards on Thursday with Italian Renato Paratore on course to become the youngest winner in European Tour Qualifying School history. Kevin Phelan is making steady progress at Q-School. Picture: David Lloyd / www.golffile.ieKevin Phelan is the only Irish player inside the qualifying places at the halfway stage of the First Qualifying Stage Section C at Ribagolfe in Portugal. Waterford Castle’s Kevin Phelan, pictured here during the third round of the US Open at Merion, is a shot outside the qualifying places with a round to play at PGA Catalunya Resort. 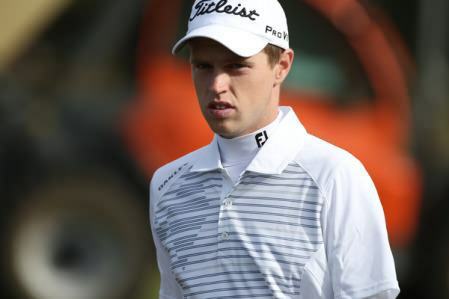 Picture: Eoin Clarke www.golffile.ieWaterford Castle’s Kevin Phelan produced a storming finish to keep his chances of winning a European Tour alive with just one round to go at the gruelling final stage of the European Tour Qualifying School in Catalonia.